Can we stop neurons signaling their own death? For over 150 years, it was believed axons die independently when injured by stroke, brain injury, or disease. A new study challenges this idea, suggesting axons coordinate their own destruction. Knowing this, a drug may be able to block axons from receiving the signal to degenerate. Then damage to healthy cells could be slowed or stopped. A major contributor to most neurological diseases is degeneration of a wire-like part of nerve cells called an axon. 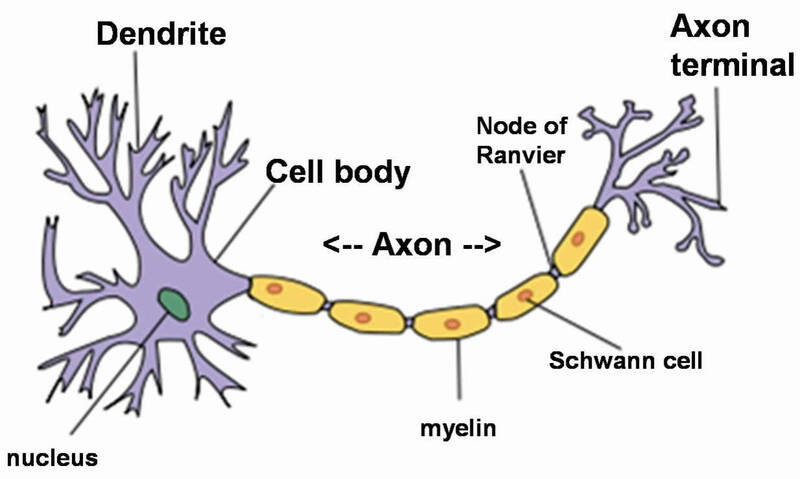 Axons electrically transmit information from one neuron to another. Targeting molecular programs underlying axon degeneration is therefore important for therapeutic intervention. Perhaps if axons can be preserved, and not allowed to die in diseased conditions, then loss of critical processes like movement, speech or memory can be slowed. "We are the first to demonstrate that a receptor known to convey information from the outside to the inside of the cell, is essential for axon degeneration upon injury. This implies that axons talk to each other while they are dying, and an injured axon can coax an uninjured neighbor to die, too." Christopher Deppmann PhD, Professor, Department of Biology and Biomedical Engineering, University of Virginia, Charlottesville, Virginia, USA, and study co-author. The new information describes a ripple effect of neuronal death that confounds efforts to restore healthy cells. However, researchers also found the axon death spiral can be slowed down when communication is blocked, knowledge which could inspire pharmacological therapies to treat axon degeneration. The approach demonstrates that injured axons can be preserved for at least 10 times longer when neighboring communication is blocked. "This represents a paradigm shift for how we think about ways the nervous system is torn apart during pathology. It opens a possible new avenue for development of therapies that may be promising for slowing or stopping the effects of Alzheimer's, traumatic brain injury and spinal cord injury." Deppmann and graduate student Kanchana Gamage, the study's lead author, believe axons communicate death signals to each other during injury as a leftover activity found during development. In development, axons are vastly over produced, then follows a period of extreme elimination — an example of axon intra-communication. This process is essential in early development, but an overzealous response to disease or trauma when axons are needed to compensate for any immediate loss, to sustain normal body functions. It appears axons receive a chemical signal to die via a cell surface receptor. Researchers speculate it is a chemical released by the dying axon, possibly one called "death receptor 6." Their work now is to determine if this is true. "Knowing this, it may be possible that in diseases such as Alzheimer's and Parkinson's, a drug could be developed to block axon receptors from receiving a specific message leading to degeneration. If so, damage to healthy cells could be slowed or stopped. Essentially, we could tell axons not to pick up the phone if a degeneration signal is on the other line." Kanchana Gamage, Graduate Student, Department of Biology and Biomedical Engineering, University of Virginia, Charlottesville, Virginia, USA, and lead author. Axon degeneration during development is required to sculpt a functional nervous system and is also a hallmark of pathological insult, such as injury [ 1, 2 ]. Despite similar morphological characteristics, very little overlap in molecular mechanisms has been reported between pathological and developmental degeneration [ 3–5 ]. In the peripheral nervous system (PNS), developmental axon pruning relies on receptor-mediated extrinsic degeneration mechanisms to determine which axons are maintained or degenerated [ 5–7 ]. Receptors have not been implicated in Wallerian axon degeneration; instead, axon autonomous, intrinsic mechanisms are thought to be the primary driver for this type of axon disintegration [ 8–10 ]. Here we survey the role of neuronally expressed, paralogous tumor necrosis factor receptor super family (TNFRSF) members in Wallerian degeneration. We find that an orphan receptor, death receptor 6 (DR6), is required to drive axon degeneration after axotomy in sympathetic and sensory neurons cultured in microfluidic devices. We sought to validate these in vitro findings in vivo using a transected sciatic nerve model. Consistent with the in vitro findings, DR6−/− animals displayed preserved axons up to 4 weeks after injury. In contrast to phenotypes observed in Wlds and Sarm1−/− mice, preserved axons in DR6−/− animals display profound myelin remodeling. This indicates that deterioration of axons and myelin after axotomy are mechanistically distinct processes. Finally, we find that JNK signaling after injury requires DR6, suggesting a link between this novel extrinsic pathway and the axon autonomous, intrinsic pathways that have become established for Wallerian degeneration. The National Institutes of Health supported the research, which was conducted by investigators in UVA's biology and psychology departments and Neuroscience Graduate Program, as well as at James Madison University.